Gamka Sales Co. Inc. is one of the largest “Small/Medium” sized construction equipment rentals and suppliers in New Jersey. Gamka caters to the construction industry with a special emphasis on concrete contractors, site contractors, landscape contractors and lawn and garden equipment for homeowners. Extensive assortment of rental machines – over 1900 pieces. Rental information. geotextiles and so much more. “BUILDING ANSWERS”. For more than a quarter century, we have been distributors of building materials, construction supplies, construction equipment and Husqvarna outdoor power equipment. When you need building answers, think of Gamka first! Call 732-248-1400 or contact us with your needs or challenges. We are here to help you. What is the Gamka Difference? We pride ourselves on knowing the products and brands that we sell in depth. We know what works and know what seems to be smoke and mirrors. We have been doing this for a long time and have well over 150 years of combined knowledge and experience. We have a large selection of equipment rentals and specialty rental items as well. Give us a call and let our experience guide you to the best solutions. Unlike the big box stores, Gamka will be there for you when service or parts are required for your equipment. We do warranty work too. If you got it from us, we will take care of it and you. Gamka sounds funny but what we do is not. Come to think of it, Gamka does sort of roll off your tongue. Contact Gamka for your building answers. Gamka is the largest authorized Husqvarna dealer in Middlesex County, New Jersey. Huge selection and inventory of Husqvarna push mowers, ride-on mowers, zero-turn mowers, lawn tractors to leaf blowers and everything in between. * We will beat any deal from an authorized dealer. All items can be picked up at our location or we will deliver for free within a 5 mile radius. 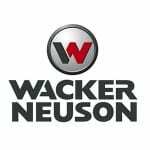 We are a Wacker Neuson Authorized Dealer and Service Center with Certified Trained mechanics and knowledgeable sales staff. The Wacker Neuson Group is a leading manufacturer of light and compact construction equipment with over 40 affiliates and more than 140 sales and service stations across the globe. Wacker Neuson is built on an unparalleled range of dedicated products spanning over 300 different groups, all featuring leading-edge technology and best-in-class design. We have a complete line of equipment rentals that include Wacker Neuson. Call us today. Certification status is awarded by Wacker Neuson to dealers who strive for excellence and meet stringent standards in the areas of training, spare parts, service and more, offering their customers a high level of quality and professionalism. We have been a Wacker dealer since 1987. Proudly one of the earliest dealers in the country. GAMKA: our slogan is “BUILDING ANSWERS”. For more than a quarter century, we have been distributors of building materials, construction supplies, construction equipment and Husqvarna outdoor power equipment.